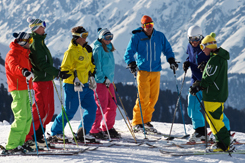 This course is designed for people who have done their BASI Level 3 and are preparing for the BASI Level 4. 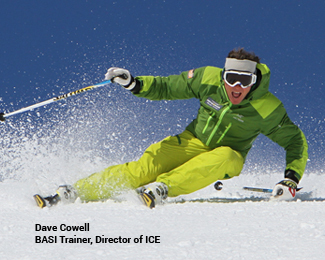 The course is delivered exclusively by ICE coaches who are trainers for BASI and deliver the BASI Level 4 technical courses. This ensures that you are receiving training from trainers who are fully aware of where the level lies and how to achieve it. 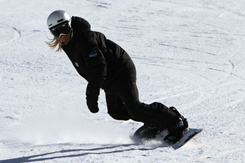 It also includes sessions in slalom, coached by former Olympian Alain Baxter, and giant slalom training. It is an ideal opportunity to train for Test Technique, Eurotest and BASI Level 4. 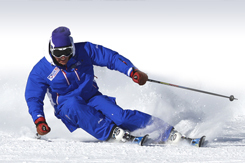 Coaching is half days, everyday from Monday to Friday, with a strong emphasis on developing key skills, including long turns, short turns, bumps, accurate skiing in difficult/steep conditions, slalom and giant slalom training. 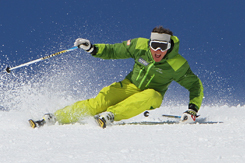 To get perfectly in tune with your skiing, or to be sharp enough to pass your BASI Level 4 technical course, there is no better option. 5 half-days of quality training.